Caring for your new All on 4 dental implants is like caring for your natural teeth: Brush and floss daily, use waterpik and maintain regular cleanings and check up with your dentist in Cancun, the patient and doctor must work as a team to ensure longevity of their new All on 4 dental implants! Remember that also, cleaning around the dental implants to keep healthy the surrounding tissue for support, remember that plaque collects on dental implants just as it does on natural teeth and it must be removed on daily basis. Without the proper cleaning infection can develop known as peri-implantitis. Unlike inflammation around teeth, peri-implantitis can result in bone loss around the dental implants. 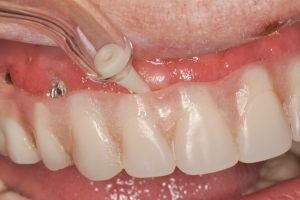 An effective way to clean your dental implants, is using a waterpik. 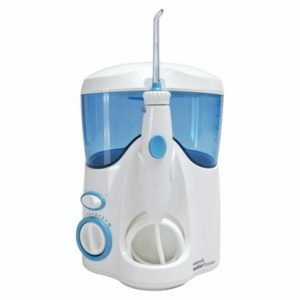 Waterpik is a water flosser, simple and easy to use and highly effective. Is a small hand-held counter unit filled with water. Water pulses out off a specialized tip that you trace around your gum line and dental implants. Despite all this special cleaning, dental implants are highly successful, studies that indicate long term success rates over 95%, however the prevention of peri-implantitis and infections around the tissue is fundamental to dental implant health maintenance and function. Cleaning your new All on 4 dental implants is an important part of success! If you have any questions about the cleaning routine, the All on 4 procedure or our clinic don’t hesitate to contact us! Our dental planners will be more than happy to guide you trough the process or to give you more information about it. Call us toll free 1 800 701 6039 and like us on Facebook!